We ship via UPS for domestic orders. Includes fabric cover, controller, assembly instructions/support. Mothers all across the globe know how relaxing and sleep promoting the gentle sway of rocking can be. Is this gentle rocking motion only suitable for infants and young children? As it turns out, this same movement can provide numerous benefits for adults as well. What is a rocking bed and why is it beneficial for adults of all ages? We will address these important questions below. For decades, we have recognized the power of a gentle back and forth motion in terms of balancing the limbic system and promoting restful sleep. This is why mothers all over the world naturally rock their children when they are sleepy or in distress. The calming effects of this motion have positive impacts on all systems of the body. What could be better than drifting off to sleep each night while experiencing these same relaxing movements? 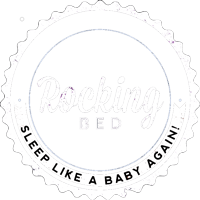 Our rocking beds for adults are designed to mimic the soft rocking motion that new mothers have relied upon for centuries to calm their babies and help them drift off to a peaceful slumber. Our rocking beds are designed with simplicity and affordability in mind. In fact, you don’t even need to replace your existing mattress and bed frame. Our rocking beds consist of a sturdy tubular frame with a quiet motor attached. This frame is designed to work in concert with your existing mattress and bed frame. Once you turn the motor on, your mattress will begin to glide back and forth in a fluid, smooth motion. This simulates the age old movements still utilized in bassinets and infant cribs around the world. How Does the Rocking Motion Improve Sleep? Studies have proven that the gentle back and forth sway of rocking improve various systems of the body. The cardiovascular, limbic, circulatory, and immune system all benefit from this gentle and relaxing motion. Aside from the physical benefits, however, the rocking motion greatly enhances relaxation and promotes deeper sleep. Our overall health is not just affected by the number of hours of sleep we get. What’s even more important that quantity is the quality of sleep achieved. The swaying motion provided by our rocking beds allows you to sleep much deeper and go through all the vital stages of sleep so that you can wake up feeling more rested. Aside from improved sleep, many people notice an improvement in immune function, a lowered risk of cardiovascular disease, improved circulation, and even enhanced dreams. All aspects of an individual’s health can benefit from the relaxing motion provided by our rocking beds. 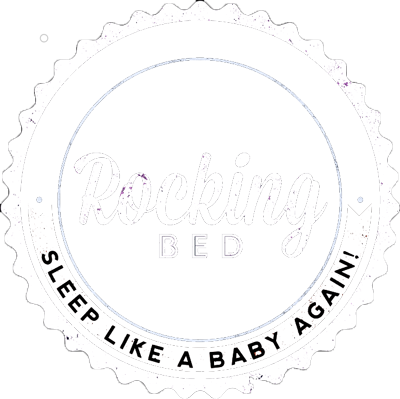 Who Can Benefit from a Rocking Bed? Men and women from all walks of life and all backgrounds can benefit from a rocking bed. Who doesn’t need improved circulation, deeper sleep, and an optimally functioning immune system? Those suffering from insomnia and other sleep disturbances can achieve great results with our patent-pending rocking beds as well. The gentle and relaxing sway obtained from rocking has been scientifically proven to improve sleep, enhance mood, eliminate built-up toxins, and promote a greater overall sense of well-being within adults of all ages. Whether you’d like to improve your circulatory system or simply feel more rested upon awakening, a rocking bed can provide the type of gentle motion that promotes restful sleep and proper relaxation. Best of all, you can keep your existing bed frame and mattress while still enjoying the numerous benefits that a rocking bed has to offer. Better sleep and a healthier body and mind is just a gentle sway away.